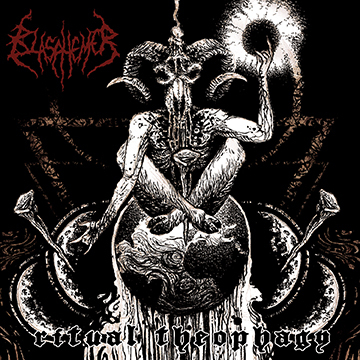 BLASPHEMER released new album Ritual Theophagy last October on Comatose Music. The album and related merchandise can be purchased at this location. After six years of silence, this Italian Death Metal behemoth has been awakened and lashes out with inhuman technical brutality. This is Blasphemer’s most evil and chaotic material to date, with their signature style of dissonant rapid fire riffs, savage multi-vocal assault, and featuring the extreme drum prowess of Darren Cesca (Incinerate & Goratory). The gates of Hell have opened unleashing a nefarious fury of malevolence and the holy light will be forever extinguished. This entry was posted on February 2, 2017 at 3:00 pm and is filed under Death Metal, Heavy Metal, Metal, Music, news, rock music, world news with tags blasphemer, Death Metal, Heavy Metal, metal odyssey. You can follow any responses to this entry through the RSS 2.0 feed. You can leave a response, or trackback from your own site.